If paint contractors are clear in what they are providing and customers are clear in what they are getting then everybody will be happy, yes? So why are happy customer/contractor experiences relatively rare? The answer is the dreaded Unmet Expectations. Let’s say the paint contractor hired to paint your house drips on your new patio. You assumed he would properly protect your home, he assumed you wanted the work done fast and cheap. If he didn’t have a written contract then shame on everybody. If he did have a contract did it clearly specify these gems? This is, of course, the work that will be done. In our case it would read something like “Paint house and garage only, including all previously painted doors, windows, soffits, fascia, etc.” Also included should be the materials used, time to completion, and yes, surfaces to be protected. If your fence will not be stained or painted it should be noted here. If the dog house, garage or porch swing will not be painted that will all be listed in the section. Is it really necessary to describe what will not be painted? Well, yes – everyone wants to avoid Unmet Expectations. If you expect that your beloved white dog house will not be painted and then come home to see that it is now gray you will be, at least, a bit put off. Now, Exclusions can go too far – it’s not necessary to state that your roof will not be painted, is it? Or the driveway? If the rose bushes are not mentioned at all you’re setting yourself up to have some dreaded Unmet Expectations. 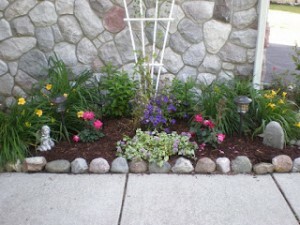 Or, what if the contractor simply forgets what he said about the rose bushes. Or he forgets to tell his work crew? It’s been wisely said that “a job well specified is half delivered”. 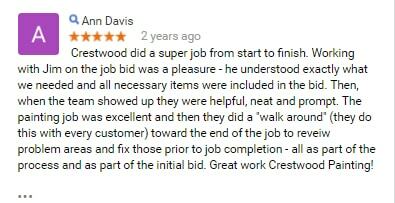 Give Crestwood Painting a call if you’d like to see what Met Expectations feel like. ‘Dja ever notice that deep paint colors don’t seem to cover as well as lighter colors? There’s a simple reason for this and it involves a recent post about titanium dioxide. Let’s say you’ve chosen a deep orange for your living room – this really happened about three weeks ago (along with deep burgundy, chocolate brown, etc). Because these colors requires so much tint to achieve the deep colors paint manufacturers must remove some other ingredients to make room. One of the things that’s got to go is titanium dioxide – the chief component that gives paint its hiding power. That means you’ll almost certainly see the original color through the first coat, probably the second, etc. I’ve heard of professional painters applying five coats (in addition to the old trick of using a gray primer coat) before they achieved deep and even coverage. Paint quality really comes into play here – low quality (and low priced) paint never covers very well; you’ll eat up any savings with increase labor costs. Or simple aggravation if you’re a DIY’er. Paint quality certainly affects coverage, but at a certain point you simply bump into the tug-of-war between tint (deep colors) and hiding power (titanium dioxide or similar). As there’s only so much room in the can; something’s got to give. This is why we always make a point to ask about colors when we first meet with a customer to discuss an estimate. Most people assume that paint is paint and colors are colors and they appreciate an open discussion about how their color choices can affect the cost of their project. And not all paints are available in all colors. Manufacturers make different paint “bases” – some are formulated for lighter colors and others are for darker colors. So, for example, if a certain high quality interior wall paint isn’t available in an ultra-deep base so we’ll have to use a more commercial-grade paint for that particular color. Just some of the trade-offs that manufacturers make between product line, cost, sales volume, etc. New colors are declared “trendy” by those that know such things. Usually it warrants nothing more than a harrumph, but in this case it’s very clear that somebody got carried away with their Barney/Cookie Monster childhood. 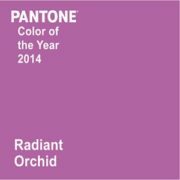 Where would one use such a color? Options are limited as this color will likely induce motion sickness. Maybe a roller coaster? Primary school? Dandy sport coat? Depending on your appetite for risk you might try this paint color in your living room – but understand the in-laws might not have a positive reaction. Last year’s color was a good bit more tolerable. Crestwood Painting customers are a bit more courageous with color; nonetheless, this year’s color of the year might be a bit much. If you do find yourself so possessed please let me know – I’ll be over for a photo before we’re asked to repaint. 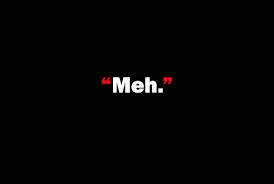 Like, whatever! Know what I’m sayin’? Some of these seemed, at least to me, to have a very hyper-business 80’s ring to them (world class – is that still around?). Literally. Anyway, the most annoying is, literally, “anyway.” This is the heavy-handed transition from Person A’s conversational interjection to Person B’s more important subject matter – usually themselves. Oiy. So if you choose to call one of our paint hipsters, we’ll absolutely be responsible stewards for your legacy project. And trust that you’ll make the call to Sherwin Williams about the gluten-free nature of their paint. Yeah. Met our paint supplier rep this week. He tells me there’s going to be a price increase effective early next year – 5-6% for paint. We’ve had steady increases for at least the last 5 years. 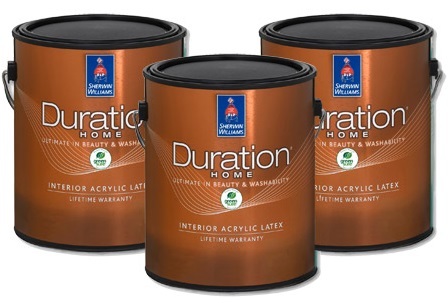 Here’s what’s going on: titanium dioxide is a key ingredient in paint. Or, at least, high quality paint. TiO2 is a naturally occurring, mined product – just like the gypsum used in drywall. It looks a lot like baking soda. It’s used in sunscreen (the white paste on your life guard’s nose) and also in paint.